Most of my beans are self-roasted, but I do order some of my beans online. Here are two places you can try for local roasting and delivery. They are geared more towards subscriptions (i.e. regular delivery), but you can cancel anytime you want to, or reschedule your roasts. One of the partners is Keith Loh, who really needs no introduction. Former Singapore NBC champion and an old name in the coffee scene. Feel free to contribute more on your single origin / blend of the week. 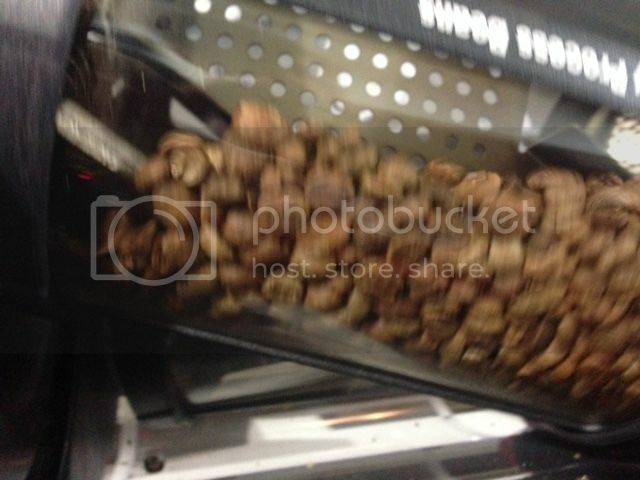 Here it today's roast on my Gene Cafe roaster - Yemen Mokha Ismaili from Sweet Marias. Finished the roast about 1 minute early, with about 3 minutes cooling cycle. Will let everyone know how this batch turned out after 2-3 days of resting and degassing. Home roasting is something I definitely want to get into down the road!! Hey Watchdog, the beans seem not evenly roasted. 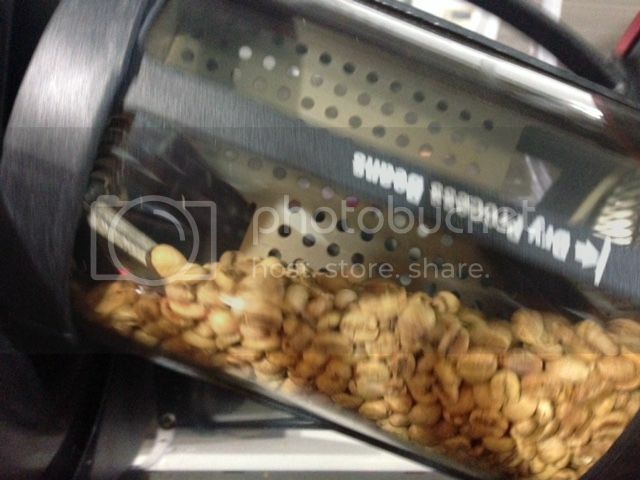 Is this normal for home roasting machine? Would love to get my hands on home roasting too! I have a bag of green I'd like to get roasted...Eric you up to go 50/50 in the end results? They are from a friend of mine who roasts in LA but are a few years old already. On the contrary. 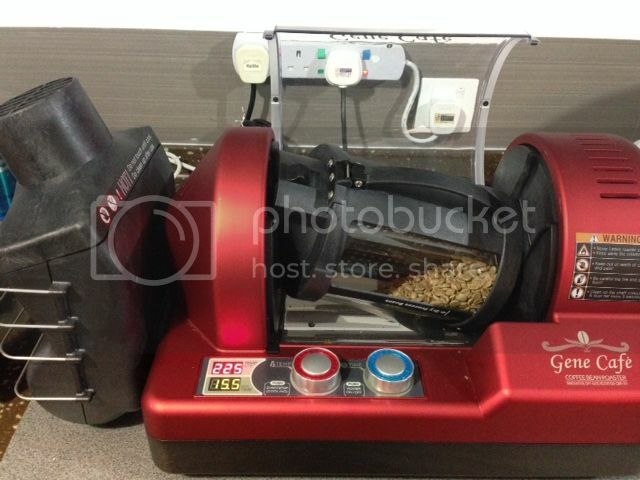 The Gene or even the popcorn machine method have quite even roasts as they use hot air. The unevenness of the roast you see is probably due to the age of the green beans (I believe I have had the lying around for more than a year), and the chaff. The very light coloured beans you see, that's the chaff that hasn't quite come off yet. Anyway, these beans taste predictably bright with a strong apple like tartness and maybe more subtle hints of raisin and cloves. Not an ideal choice for espresso-based milk drinks, but quite a good and clean cup for pour over coffees. My beans from Guerilla Coffee are here - can't wait to taste them. @Wiz, sure feel free to pass them over to me. I keep my roaster at my in-laws though - so I will only be able to pass you back the roasted beans some days later. Bro Wiz, is it still safe "after a few years old"? To roast and to drink? I was in Indonesia and saw beans in a huge posting place that were up to 8 years old...worth a shot, otherwise they are for the bin. Errrrrr...... did they add formalin to preserve the beans freshness? it's quite common in Indonesia, they call it Old Java/Old Brown style. The beans are aged several years to improve the body and lessen the acidity. When u said 8 years, i guess it must be from Aroma coffee factory in Bandung. They aged the Arabica beans for 8 years and Robusta beans for 5 years. I visited the factory once during my Bandung trip. Wow, there is hope for all my over-the-hill green beans after all. Thanks for sharing, never expect they age the beans for so many years! I wonder how is the taste? Oceanpriest, did you manage to order a cup of 8 years old beans to drink? How it taste like? Super bitter? Super aroma? the roasting is a bit too dark for filter drip, hence the bitter taste. as espresso shot, it depends on the beans origin. 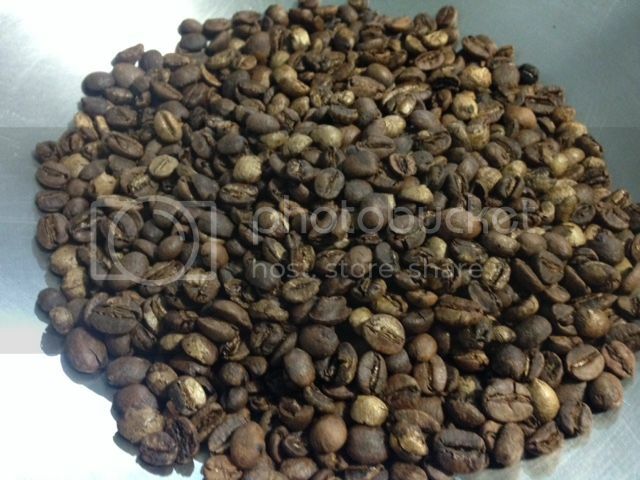 the toraja origin is more balanced with vibrant acidity. I'll try to find my pics of the place, but was quite a few years ago maybe before gps tagging. I've checked my iPhoto store and nothing there.